Did you leave your tie at home? Good. 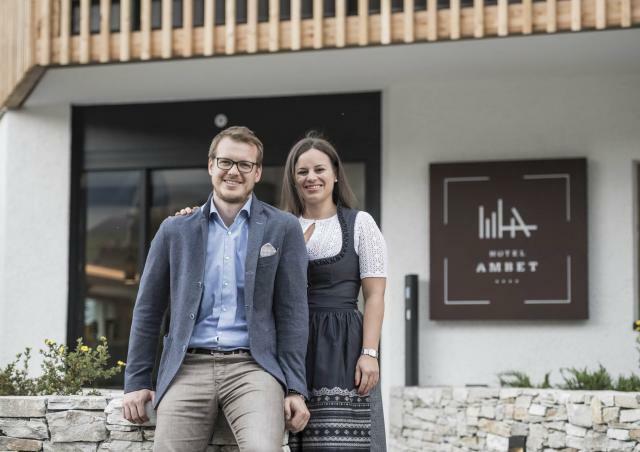 The Hotel Ambet awaits you in a friendly family atmosphere where you can enjoy a taste of the typical Alpine lifestyle that we have to offer here in South Tyrol. 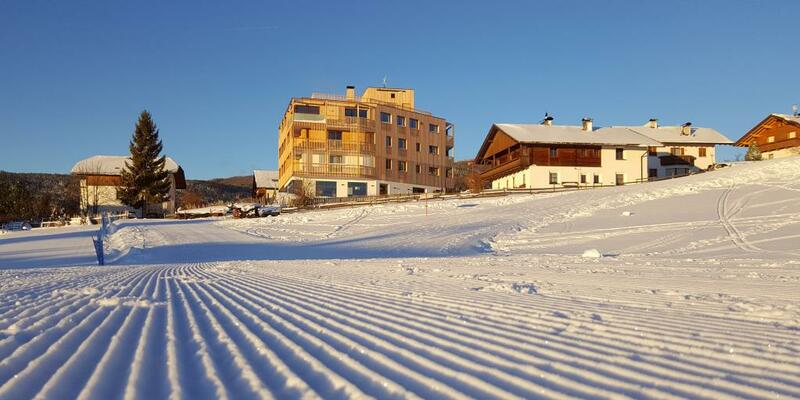 Welcome to the 4**** Alpine Lifestyle Hotel Ambet in Meransen! 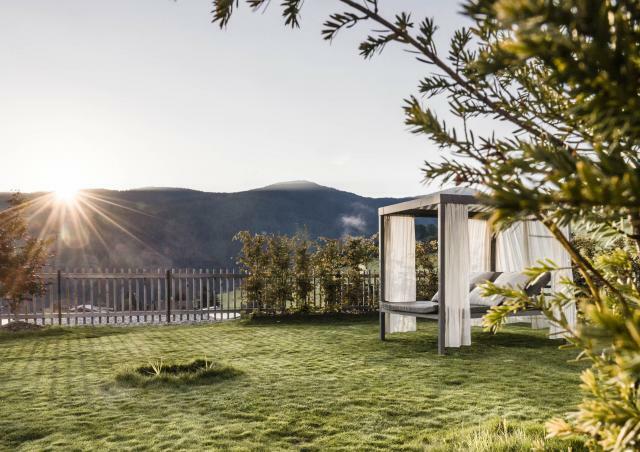 Located in the Gitschberg-Jochtal holiday area in South Tyrol, our 4-Star Superior Hotel lies ensconced between the woods and meadows of Meransen at an altitude of 1,400 m a.s.l.. Occupying a privileged location with spectacular views of the Sexten Dolomites, health and relaxation go hand in hand in a magnificent setting offering a wide range of outdoor activity options. 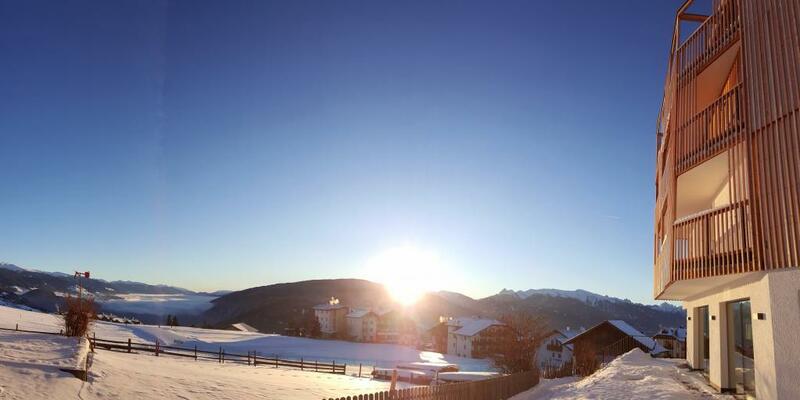 The Alpine Lifestyle Hotel Ambet is located in the centre of the sunny and peaceful Meransen plateau. In Winter connects a network of ski trails the Gitschberg summit to the Hotel, and in summer start numerous Hiking trails right in front of our hotel. 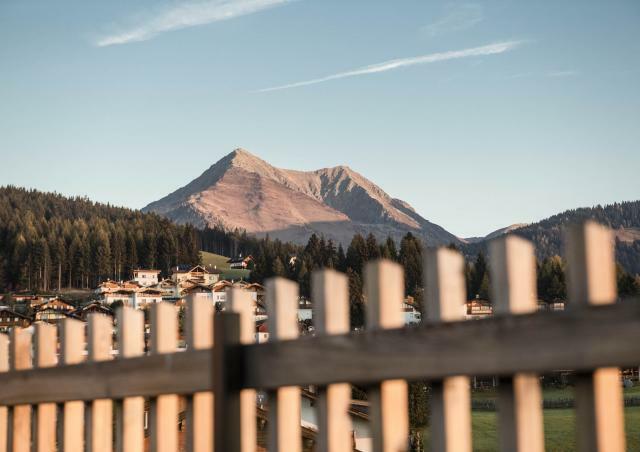 The breath-taking mountain landscape of the Gitschberg Jochtal holiday area forms a picturesque backdrop to your stay at the Alpine Lifestyle Hotel Ambet in Meransen. The large contemporary style Alpine windows ensure fantastic views of the magnificent mountains of South Tyrol. The rooms and suites at our Alpine Lifestyle Hotel Ambet in Meransen are a harmonious blend of aesthetics and the natural landscape. Inspired by the shapes and colours of the surrounding mountain terrain, key features of the interiors such as the natural woods and rich fabrics are primary expressions of our Alpine soul. There are also special rooms for your four-legged friends, complete with dog-towels and blankets. The original culinary delights prepared by our chefs are best enjoyed in our restaurant. 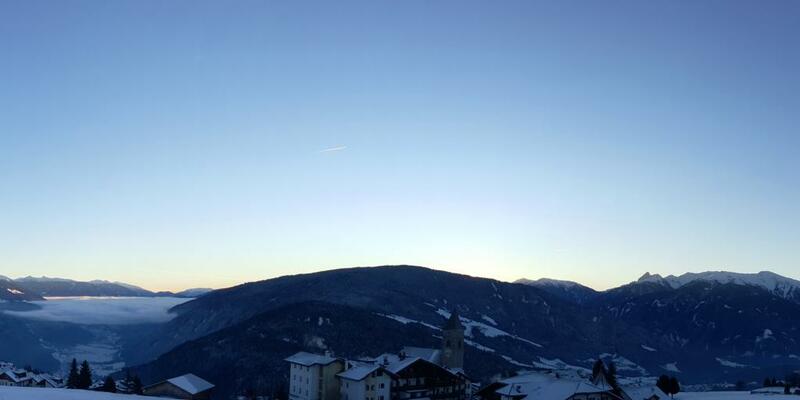 In the evening, we invite you to join us in our scenic panoramic bar to enjoy the spectacle of the sun setting over the mountains of South Tyrol. A holiday in the South Tyrolean outdoors cannot but include exploring the magnificent forests and mountains that surround us. Spend relaxing moments on our congenial roof terrace and while enjoying the panoramic sauna you have the feeling of almost touching the sky. What differentiates our hotel in Meransen is the careful attention to detail, including the careful choice of facilities including ski storage and a dedicated cycle garage. We are very fortunate to occupy a doubly privileged position. 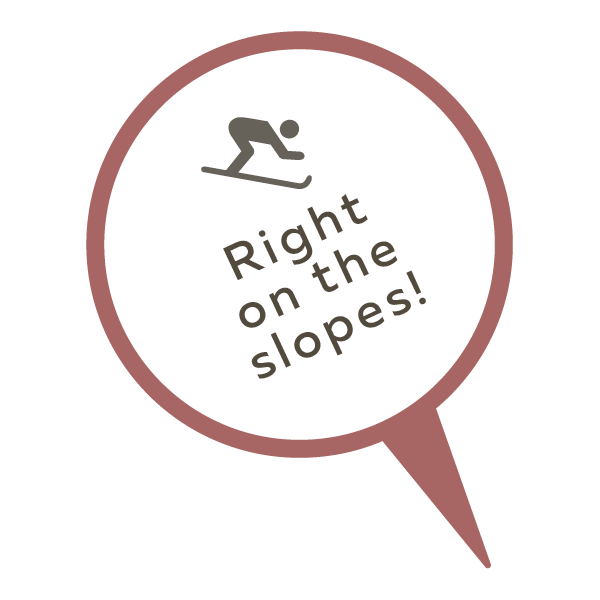 While our hotel is located in the sunny and peaceful Meransen plateau at the entrance of the Pustertal Valley, the main highway is just a few minutes drive from the nearby village of Mühlbach, providing easy access to various urban destinations such as Brixen, Bozen and Sterzing. 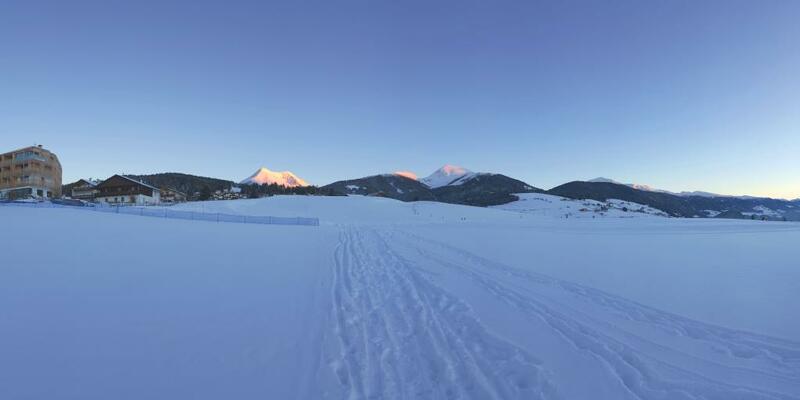 Both in summer in winter, the Gitschberg Jochtal holiday area is your choice holiday destination, where you can relax in proximity to the unspoilt natural environment of South Tyrol. Enjoy precious moments at our SPA, which offers treatments at the highest level in a quiet and tranquil setting. At the restaurant, our chefs only serve the most refined regional cuisine enhanced with a creative touch. In the evenings we await you at our new scenic panoramic bar where you can enjoy a drink in good company. These alpine autumn weeks are perfect for hikers who are searching peace and enjoying the colourful nature!